The Football Association of Ireland has responded to queries relating to the bridging loan made to the Association by CEO John Delaney in April 2017 by announcing that a review of its executive governance and senior management structures is underway. A third FAI statement since the story broke on Saturday was issued on Monday evening. The €100k loan was repaid in June 2017. The latest statement said: "The FAI is currently undertaking a full review of its executive governance and senior management structures. The original story was the subject of an attempted High Court injunction by Mr. Delaney to prevent the Sunday Times from publishing it. However, Judge Anthony Barr ruled that the newspaper should be allowed to carry the story. 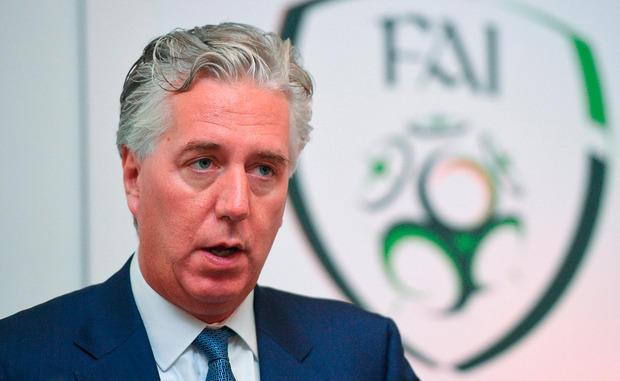 In a previous statement issued on Sunday night, Mr. Delaney said: "I acted in the best interests of the Association at a time when immediate funding was needed" and that he had "acted in good faith for the benefit of the FAI and will continue to do so." There no mention of the April 2017 bridging loan of €100,000 in the audited accounts presented in 2018 though the loan had been repaid by the year end.